Hey guys! Hope that your Wednesday is going great and is less confusing than mine. This morning I posted a picture on My Instagram and I tagged it #TuesdayMotivation other than #WednesdayMotivation luckily a friend pick it up before everyone else did. Okay, before I go off track again today I have a review for you the Garnier Pure Active Fruit Energy Daily Energising Gel Wash. 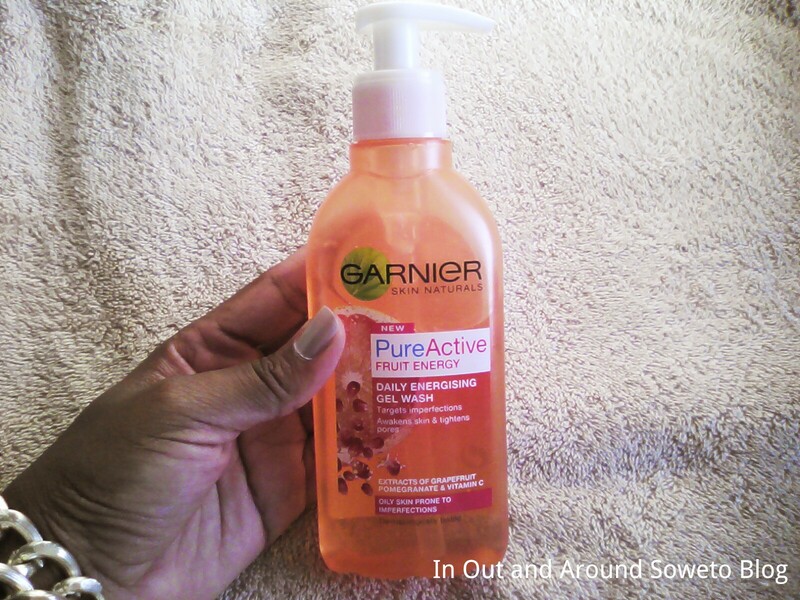 I bought the Garnier Pure Active Fruit Energy Daily Energising Gel in May and I didn't use it as I was finishing off some other product (I like to give products a try, I usually give some products a month or two to see if they do work). Garnier says that the gel wash "Targets imperfections, Awakens skin & tightens pores", first I will say that the gel wash smells so fantastically good, great job Garnier on the Grapefruit Pomegranate. 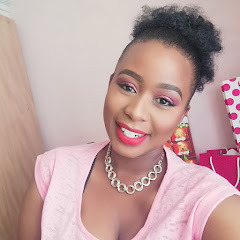 I have been using the gel wash for six weeks now and I'm loving it, I like the fresh smell it leaves on my face after using it. 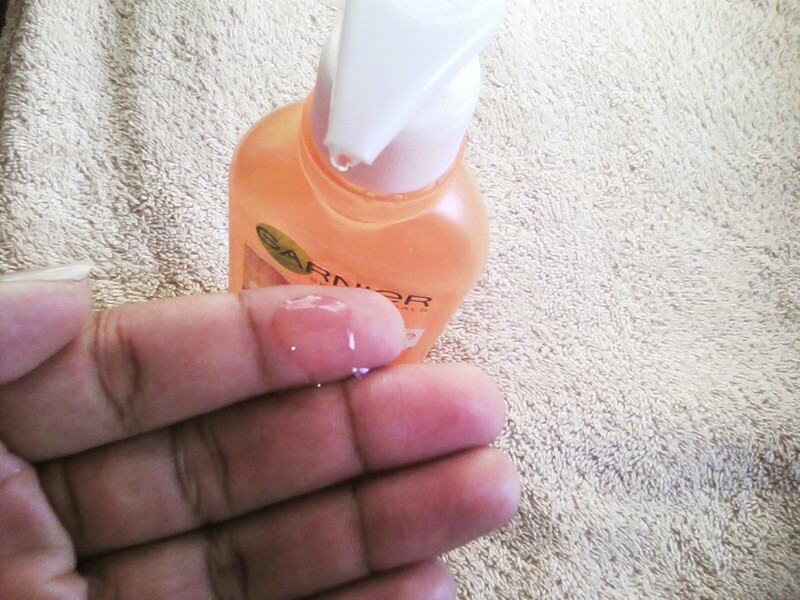 The gel wash is for combination/oily skin even though I have dry skin it does not leave my face dry after use. A tiny squirt on a wet face with an emphasis on the forehead, nose and chin does the trick. The gel wash is for everyday use and like any other face product one should avoid eye contact. Overall the gel wash has been treating my skin well and no blemishes have been detected so far. I hope that you have enjoyed the review!!! Hey Lesedi great question, I have dry skin and my skin is prone to blemishes. 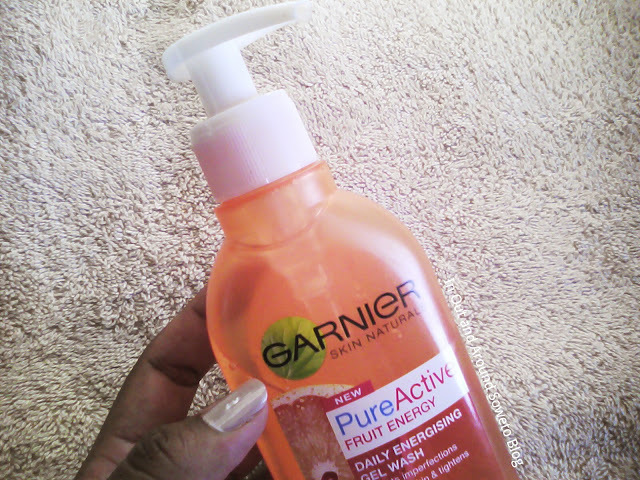 The product has helped me to keep my blemishes away. What skin type do you have? I have combined & sensitive & problematic skin so I really hope it will work well! Hi Pru,I also use the products during my morning. I hope the gel-wash does help.